New kid on the block, Multi Talented Singer and Vibrant Producer of Timaya’s “Happy” (Epiphany Album) and the new hit single “Hallelujah”. JEZ BLENDA finally releases the much anticipated visual to his sizzling hot Club Anthem “Gud Morning” Ft. EME’s DJ XCLUSIVE and Achievas Music SOLIDSTAR. Director – Avalon Okpe.. Don’t be told, download, enjoy and share your thoughts. After the successful release of Simi’s Pop trendy video ‘Jamb Question’, which teases fans with a short verse from Falz, the R&B sweetheart has dropped the full version. 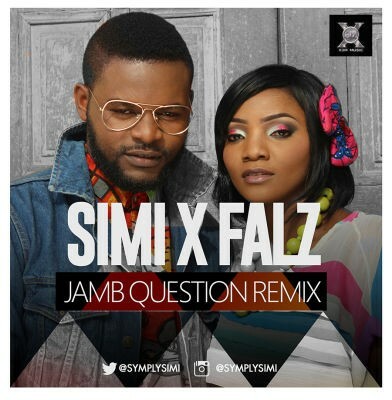 ‘Jamb Question’ remix is quite similar to its original version – witty, comical and romantic. With a funky verse from rapper Falz, it only gets more fun, listening. The X3M Music artiste will be releasing more material this 2015. “Brand new video from Kida Kudz. His consistency in recent ones has been amazing! His brand new video – “Living Life” was shot in Lagos, Nigeria. 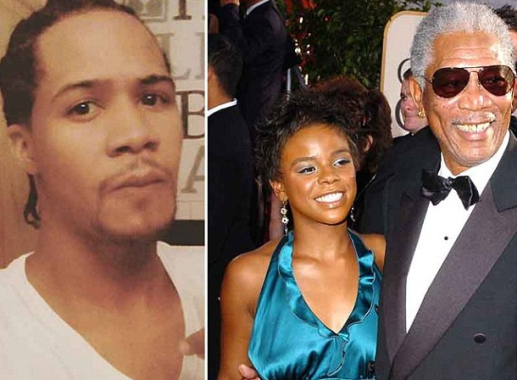 Yesterday, Morgan Freeman's 33 year old daughter E'Dena Hines, was stabbed to death on a New York street near her home. Her ex-boyfriend was arrested for the murder and was taken to a psychiatric home yesterday. The man has been revealed as 30 year old Lamar Davenport, (left). A man who saw the attack which took place around 3am, through his window called the police. Lamar was reportedly stabbing E'Dean and screaming: 'Get out, devils. In the name of Jesus Christ, I cast you out'. The aspiring actor had a history of drug abuse. He's currently at New York's Columbia Presbyterian Medical Center to undergo psychological testing before being questioned by police. “After dazzling fans and music tastemakers in 2014 with 2 exciting singles –Jupa & Follow My Lead, coupled with releasing the “Almost Famous EP”,Project Fame Season 6 winner – OLAWALE serves up his first official single of 2015 with something fresh out of the music kitchen and this one is termed “DEMO”. Produced by the usual suspect – SPELLZ, Olawale delivers in what is arguably his best effort till date and proves to everyone that he’s back to stay this time.